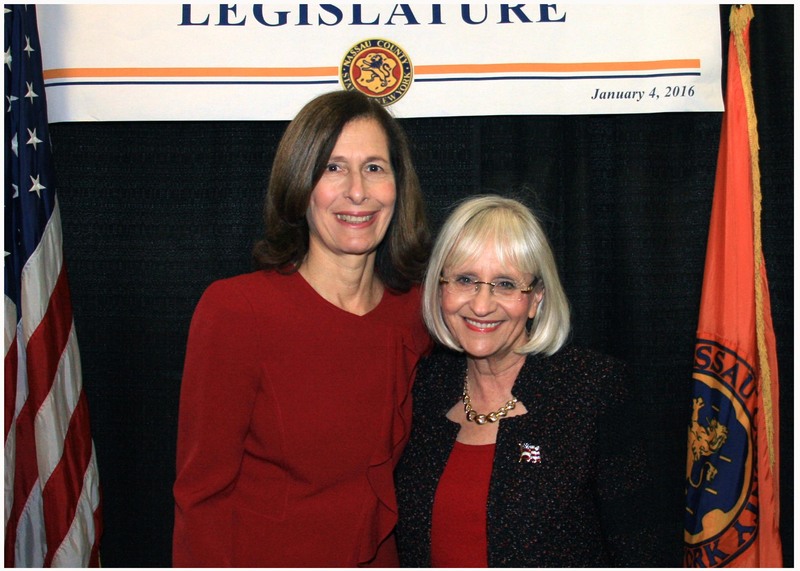 (MINEOLA, NY) –Nassau County Legislator Ellen W. Birnbaum (D-Great Neck) was joined by friends, family and colleagues in government at the induction ceremony of the Nassau County Legislature held on Monday, January 4, 2016. Legislator Birnbaum was sworn in by United States Senator Charles Schumer as one of the seven Democratic Nassau County Legislators. “As I proudly and humbly begin my second term as a county legislator, I look forward to serving the needs of my constituents while helping to make Nassau County a better place for all of us to live,” said Legislator Birnbaum. Legislator Birnbaum was joined at the inauguration by many friends in government, including North Hempstead Town Supervisor Judi Bosworth who has also begun her second term as Town Supervisor. "I look forward to working with Supervisor Bosworth and North Hempstead as we embark on our second terms together," said Legislator Birnbaum. Legislator Birnbaum represents the 10th Legislative District in the Nassau County Legislature which includes the entire Great Neck Peninsula, Manhasset Hills, the Village of North Hills, and parts of Albertson, Garden City Park, Herricks, Manhasset, North New Hyde Park and Searingtown.